PUBG LITE BETA is now almost two months old. The game has been going through some nice experimental phases to make it ready for the global release. After getting feedback from the community for "team kill" feature (where you can kill your own teammates with weapons or Meelee attacks), the developers had removed it for a while to see how things work in the game. Now, the developer team has announced once again that they are bringing back the feature! When we first opened PUBG LITE, we heard feedback from the community that gameplay was difficult due to the frequent team kill and because of this many of you had to endure the inconvenience. The PUBG LITE team hoped to provide you with a smoother gameplay environment. Therefore, on February 21st, the team decided to hold a testing period by removing the team kill feature through weapon or melee attacks. During the testing period, the amount of team kills decreased significantly however we saw that it was effecting players’ game strategy and tactics. One of the fun elements of Battle Royale is the realism of the battle and by removing the team kill feature this element was decreased. Additionally, as we have analyzed and sufficiently prepared countermeasures for users who team kill their teammates on purpose, we will ending the testing period for the team kill feature as of March 14th (Thursday). From now on, we will be taking strong actions toward any users who are reported for purposely killing their own teammates. Please cooperate with us to create a healthy gameplay culture for PUBG LITE. PUBG LITE is going to make various attempts to make a smooth environment for players to experience the real Battle Royale. In this process, we may come across some unexpected issues which may lead to some trial and errors. However, we will do our best to gather your opinions and with the data will provide the best gaming environment possible. We look forward to your continued interest and participation! With this change, it is quite evident that the developer team is trying to make the game as much competitive as possible keeping all the game elements stable. However, some players make it worse by killing their own teammates for some mere self-satisfaction. It is just the time when we will see how this change will affect the actual game after the global release. 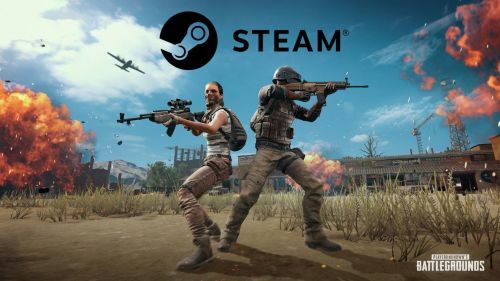 Read more - PUBG LITE (PC) BETA soon to be available on Steam: The global release is nearer than you can think. Read more - PUBG LITE (PC) BETA soon to get the biggest update since its BETA testing.